Theresa May is to trigger Article 50 on 29 March 2017, kicking off the two-year negotiation period during which the relationship between the UK and the EU will be redefined. On 12 March the House of Commons Foreign Affairs Committee published their ninth report of the current session: ‘Article 50 negotiations: Implications of ‘no deal’’. This is the first Select Committee publication focusing specifically on the implications faced by the UK in the event of a ‘no deal’ situation, with reference to a range of different sectors, policy areas and circumstances. Last week the concerns raised in the report as to the Government’s position or rather the apparent lack thereof regarding ‘no deal’ implications seemed to be confirmed when the Secretary of State for Exiting the European Union made headlines telling the Brexit Select Committee that the Government had done no economic assessment of the possible effects of a “no deal” scenario. On 24 January 2017, similar remarks were made when Davis said that there were so many different things to assess, considering implications of ‘no deal’ would be ‘nothing more than an exercise in guesswork at this stage’. In this post I will highlight the most interesting points raised in the report which go to show that, contrary to what the Government suggests, it is actually both possible and vital to assess what areas require particular attention and what challenges this would bring. Beyond the question of ‘no deal’ implications, there are various aspects that the report touches upon which would benefit from academic discussion. As the report points out, whether these will be negotiated in parallel or one by one depends of course not solely on the UK’s strategy; the European Commission seems to have suggested that it will only commence talks on any future relationship once the ‘divorce’ settlement has been reached. Also, once Article 50 has been triggered, the EU member states ‘will need to agree on the guidelines mandating the Commission to negotiate on their behalf’ . Second, the report demonstrates that there is indeed a real possibility of there not being a deal at the end of the negotiation period. First of all, the Government has continuously said that it will walk away from the negotiations should the final deal not be considered appropriate [16-17]. Secondly, and very importantly, the report points to the fact that the UK Government will not just be dealing with the EU institutions (we are reminded also that the European Parliament has a veto power at the end of the process ), but that the process will be interrupted by numerous highly important national electoral events, such as the French presidential election and the German Bundestag elections this year, and other aspects of domestic politics  which may significantly delay negotiations. Thirdly, the ‘highly contentious question of the exit ‘bill’ – the UK’s claimed financial liabilities’ could derail negotiations in their early stages . Finally, it is pointed out that either way two years is a very short timeframe  and that one needs to account for error or miscalculation along the way [22-23]. Whether or not it is reasonable to try to put a figure on it, Lord Kerr of Kinlochard who was involved in the drafting of Article 50 has suggested that the chance of a ‘no deal’ situation is at 30% . The sudden return of a customs border between Northern Ireland and the Republic of Ireland . Arguably, the UK would not necessarily find itself in this position for long. The EU has special arrangements with other big trading nations, such as Australia and Canada, and a similar deal could be struck with the UK. In other words, it does not all have to be doom and gloom, however it is important to realise that any arrangement other than the default position under the WTO rules would have to be negotiated separately, and effectuated through positive steps. Crucially, there are estimated to be more than thirty EU regulatory bodies, ‘covering sectors as varied as aviation, fisheries, food safety, medicines, law enforcement and financial service’ . A clear example of the challenges this may pose in practice is provided by Hugo Leith of the Bar Council in relation to what this means for authorising certain types of medicine. ‘To take the medicines example [ … ] the Europe-wide authorisations that can be given for medicines and which are compulsory for some kinds of medicines—those for the treatment of diabetes, cancer, AIDS, rare conditions and so on—have to be held by an undertaking that is established in the EU. So if UK companies wanted to hold on to their authorisations, they would have to move or establish a place of business in another member state. That would impose some costs and challenges to their business’. .
To summarise the other four points raised, there is some focus on the resort to ordinary public international law and potentially arbitration should the dispute over the exit bill not be resolved during the two-year period , the possibility of unilateral action in relation to guaranteeing EU citizenship rights post Brexit , the status of UK assets deployed as part of ongoing EU missions , and the necessity of some form of customs checking arrangements . In conclusion, this report rightly suggests that the consequences of a ‘no deal’ scenario are largely predictable, and the potential risks associated with it should be assessed and a contingency plan developed, otherwise private individuals as well as public institutions might face considerable uncertainty and hardship post Brexit. Such an evaluation is particularly pertinent in light of the fact that the possibility of the UK finding itself in a ‘no deal’ situation is not as remote as one may be inclined to think. 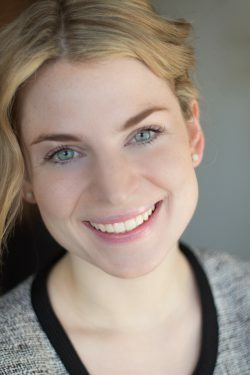 Christina Lienen is a PhD Candidate and Teaching Fellow at University College London and a Legal Assistant at 6 Pump Court. Just to slightly demur on this article: Mr Davis didn’t say the Government had done no economic assessment of a ‘no deal’ scenario. This entry was posted on March 24, 2017 by Constitutional Law Group in Europe, European Union, UK government, UK Parliament and tagged Article 50 TEU, Brexit, Great Repeal Bill, House of Commons Foreign Affairs Committee, select committees.